A news report suggests that the facelifted Maruti Suzuki Baleno is expected to launch in India on January 27. Nexa dealers have also started accepting bookings at amounts ranging from Rs 11,000 to Rs 21,000. Deliveries are expected to begin in February. We've seen the facelifted Baleno in spy photos earlier. The Baleno will get a new design for the front bumper. This is sportier looking and gets a larger air dam. There are also two smaller air intakes on either side with up swept ends. There might also be a new alloy wheel design and similarly minor changes to the rear. Some new feature additions may include a shark-fin antennae and the possible addition of a cruise control system. Expect to pay a slight premium over the current car, around Rs 25,000 to Rs 30,000. 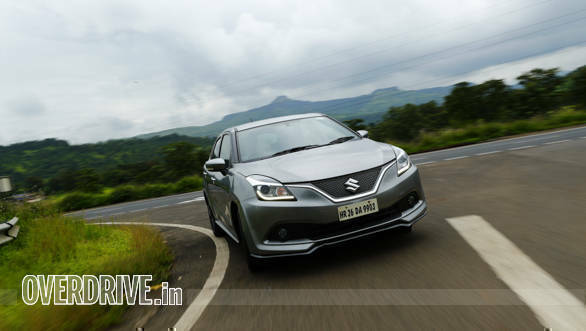 The current Baleno range starts at Rs 5.38 lakh and goes up to Rs 8.50 lakh (ex-showroom Delhi). The Baleno has been the segment leader since its launch in 2015 and this update will help Maruti Suzuki hold on to its lead. Both its closest rivals, the Hyundai i20 and Honda jazz have received updates since the Baleno has been on sale.